Download a texture pack in a ZIP file format, do not unzip. If you created your own textures, you need to ZIP them. Run Minecraft. If you already have Minecraft running, make sure you save and quit the world: you need to be in the main menu to continue (If you have Optifine, you can go to Options > Video Settings while in-game). Do not close Minecraft. Place the texture pack (ZIP file) in the opened folder, do not unzip. 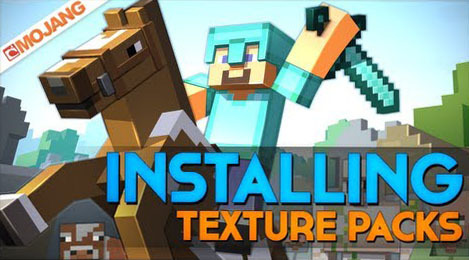 In a few seconds the texture pack will appear in Minecraft. Select it (may take a few seconds for high-resolution packs), and click Done. The texture pack is now applied, you may now load your world and see the difference.